How long is vinyl siding warranted for? Bosteter Windows and siding only uses Vinyl siding brands that carry a lifetime warranty , including parts, labor and materials. It is fully transferable as well. Do I ever have to paint my siding again? No. Our siding is virtually maintenance free. The most you ever have to do is give your home a washing with soap and water once or twice a year. We offer the widest variety of trim pieces in the industry. Everything from function utility trims to substantial wide trims resembling dimensional lumber, fluted corner posts and decorative crown molding for window headers. Does your siding have seams? Our siding is generally available in 12’ to 25’ lengths, so it needs to be overlapped at the ends to cover an entire wall. The siding is designed to provide a virtually seamless appearance. A good siding installer will lap you siding away from traffic to further minimize the laps. Should I re-side using Hardiplank or vinyl siding? MAINTENANCE: Requires no maintenance except periodic rinsing with a garden hose or pressure washer. COST: Can be applied over the old siding after any areas that are rotted or in poor condition are repaired. Very little waste disposal costs. BEAUTY/COLOR: With the introduction of high grade durable vinyl products, it would be a huge mistake to compare the beauty to low grade apartment communities or cheap builders grade siding jobs. A high quality job will be pleasing for many years. However, the color cannot be changed since vinyl siding cannot be painted. COST: Old siding must be completely removed and disposed of prior to applying new siding. There is a considerable amount of material to dispose of. BEAUTY/COLOR: Hardie siding will be aesthetically pleasing for many years. It has a nice wood grain texture and the siding color can be changed if so desired. Are there other materials that are better than vinyl? Not when it comes to siding. 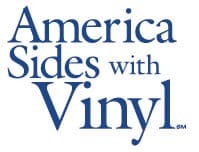 Vinyl siding’s outstanding features and benefits have made it the most popular siding material in America today. Because vinyl is the preferred siding for more and more homeowners, it retains most of its installed cost. Yes. Vinyl siding is extremely versatile and can be used with just about any exterior building material-brick, cinder block, even natural logs and field stones. We offer a broad range of vinyl siding products, so you can choose one that’s easily affordable. Whichever you choose, you can expect the highest quality and lasting beauty. It doesn’t chip, peel, dent or rot, so you can forget costly repairs. Just rinse occasionally with a garden hose. Of course, if your home has special problems – for example, warped clapboards that have to be replaced or lead-based paint that has to be scraped and sanded off-the cost of painting can become truly staggering. According to Remodeling magazine (October 2006), investing in new siding can prove to be an excellent choice in terms of payback. In the West, a homeowner can recoup 65% of the cost of siding in terms of resale value added to the home. In the East, the payback is 76%. In the South, it’s 84%. And in the Midwest, the cost recouped is 69%. Compare the ongoing costs of painting every three to five years to a one-time investment in new vinyl siding. For most homeowners the conclusion is obvious-vinyl siding is by far the better long-term value. Exceptional beauty. Durability. Economical price. Easy maintenance. Long-term value. Outstanding warranty. If these are your criteria, there’s no better choice than vinyl siding. It’s ideal as an exterior material because vinyl siding doesn’t rot, crack, dent or warp. Plus it never peels or blisters. And because the color goes completely through most siding, it never has to be scraped, sanded or painted. It’s simple. There really is no maintenance, just occasional cleaning. Ordinarily, the cleaning action of a rainfall will be adequate to wash your vinyl siding. However, vinyl siding and soffit should be washed periodically by hosing with a garden hose and clear water, particularly in those areas not exposed directly to rain. If you desire to do a more thorough cleaning, or where high soil collection conditions occur, use a soft-bristled, long-handled washing brush. It attaches to your garden hose and makes washing your siding easier.